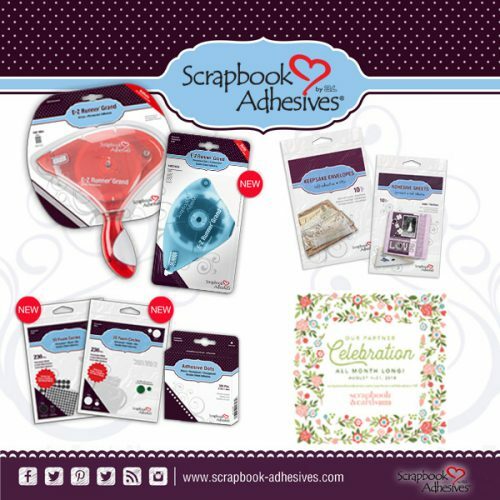 Today we’re sponsoring a giveaway with Scrapbook and Cards Today Magazine! We are today’s featured partner in their 2018 Partner Celebration! Enter to win this awesome prize package CLICK HERE to go to Scrapbook and Cards Today Blog! Enter though September 6, winners will be announced September 7, 2018. 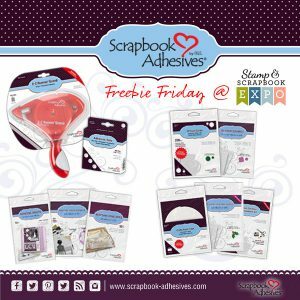 In case you missed last Friday’s giveaway, check out the Scrapbook Expo Freebie Friday! This entry was posted in Announcement and tagged Giveaway, Scrapbook and Cards Today Magazine. Bookmark the permalink. 12 Responses to "Giveaway with Scrapbook and Cards Today Magazine!" I love the all the adhesives…it helps me create cards & minibooks!!! Love all your products. I use them exclusively with a group of very senior ladies who I teach to make cards. Would love to share them with the group. Thanks for the generous offer. I used your products this morning and love using all of them all the time! thanks, love seeing all the great ideas. Thanks for the chance to win. Love your adhesives. Love my tape runner gun.. it’s my go to. I love that it’s not so large. Love your products and hope to win this wonderful giveaway! Love the products and every time I scrapbook. They hold up the best! Thanks for sponsoring in this giveaway. I can’t get enough of this adhesive.